2008: Received a BA degree in hydrometeorology from Moscow State University. 2009-2010: Studied at the Bermuda Institute of Ocean Sciences under an international program of the NF-POGO Centre of Excellence in Observational Oceanography. 2011: Received a MA degree from Moscow State University. He works for the VNIRO laboratory of climatic basics of biological productivity. 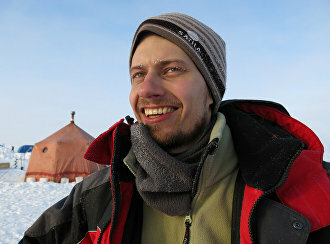 He is a member of the Russian Geographical Society, the Council of VNIRO Young Scientists, the Fisheries Association of Young Scientists and Experts (ROMUS) and the Association of Polar Early Career Scientists (APECS).